Eternal memory To brave heroes who in a heroic struggle against fascist occupiers, laid their lives for the better future of our nation in September-October 1944. 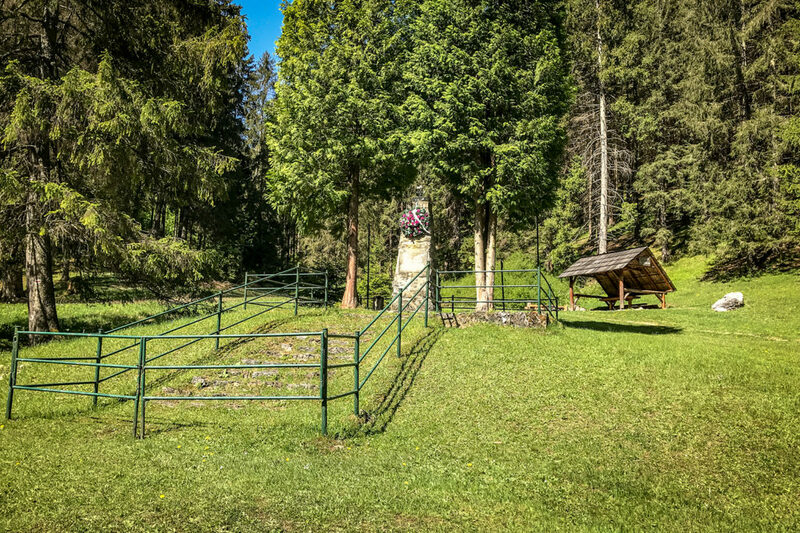 There is memorial to the victims of the Slovak National Uprising from 1944 in lower part of the valley, who died in heavy battles during World War II. The Slovak national uprising became one of the key story of Slovak history. 60,000 soldiers, 18,000 partisans together with the local people and members of another 30 nations and nationalities of Europe, America and Australia resisted of German predominance during long two months. Military importance of the uprising is valued as one of the most important anti-fascist events in german-russia war zone. Discover Ludrovská valley with the whole family.